Recently, I saw this article on Facebook about a whole bunch of things your baby doesn't actually need. When I read it, I was little surprised, because many of those things have appeared on some of my "monthly favorites" lists! Boogie wipes? Totally necessary. A traditional high chair? Sorry, I need that. And Ella probably would have starved without my baby food maker. Ok, so we did use this for a hot second (aka 20 days) until Ella's cord stump fell off. And she hated every. single. second. of her time in this tub. Once we put her in the open waters of the big bathtub (Travis was in charge of holding her, I was too nervous! ), she has loved bath time ever since! I actually thought about getting one of these when Ella was first born because I was afraid I was startling her with cold wipes. (Wow. Did I really just write that?!) Needless to say, she has survived just fine without one! I actually did buy this at a consignment sale for $5 and I have never used it. Not one time. I usually just warm the bottle up by running it under hot water. 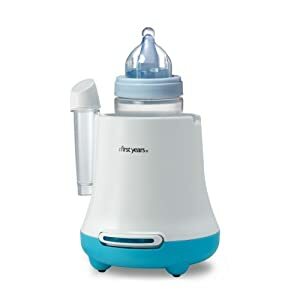 I guess I'm lucky that I have a kid who doesn't need her bottle to be super blazing hot, but if you do have a kid like that, maybe you would need this? I get it. These are super cute and so fun to monogram. And I'm all about a monogram, don't get me wrong. But I really never used these all that much! I think I relied on maybe 3-5 burp clothes (mayyyybe) on a regular basis and then the rest of the time used muslin swaddle blankets. Again, I got lucky and had a baby who didn't have reflux and spit up all the time, so maybe if I did I would need more. All I know is I have about 20472 unused burp cloths sitting in Ella's room. They tell you to get a bunch of different kinds of swaddles because you don't know which one your baby will like. So I ended up with: swaddle blankets, the Miracle Blanket, the Woombie, the SwaddleMe, and the Halo SleepSack Swaddle. 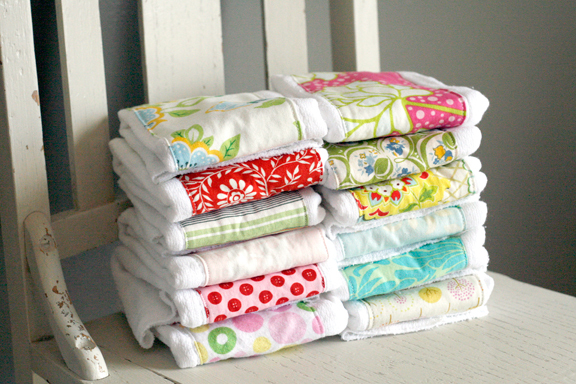 Upon googling different kinds of swaddles just now, I have come to the conclusion that I own just about every one. (So if you'd like to try any out, let me know! I should start a swaddle rental service, like Rent the Runway!) When Ella first came home from the hospital, we put her in the SwaddleMe and she loved it. When she transitioned to not being swaddled (around 3 months), we used the Halo SleepSack Swaddles. As I mentioned above, I used the swaddle blankets mostly as burp cloths, which means the Miracle Blanket and the Woombie never got used. Swaddles are SO short lived (no one told me that you stop swaddling when the baby starts rolling over! ), and I registered for SO many! I even took back some of the ones I had been gifted because I had SO. MANY. SWADDLES. Stick with a 3 pack of the Swaddle Mes, and then if your baby does not like those, call me...I have plenty for you to use. Now watch when I have another baby, all of these 5 things will be on my "favorites" list! This is awesome. haha! I can totally hear you saying all of this stuff! I loved burp clothes. Loved them. Not just for spit up...drool...diapers on the go...if I spilled my water, etc. I really have too many but they always rotated. Funny how everyone/baby can be so different. I totally agree with 2,3, and 5! But we used our baby bath (took the sling out though) till about 4 months, and I had a major oversupply (sorry, tmi!) and I needed those burp cloths to help clean up messes at every single feeding for the first few months! I'd also add baby car seat accessories to this list! When I was pregnant I got lots of things to help make baby more comfy in her seat and then found out that you're really not supposed to use these. Oops! I guess I'll retire them when we have another!